Home to the prestigious Duke University, and therefore an exciting Division I sports scene, Durham is one of the key cities in the Research Triangle section of North Carolina. This vital town of over 225,000 is a place with a vibrant economy; there is always something happening in Durham. The cultural scene is very strong in Durham thanks to Duke University and local cultural institutions. Durham is so close to Raleigh and Chapel Hill that even more excitement is ever-present. Durham became very prosperous thanks to tobacco, the American Tobacco Company is still headquartered here. You can live in town or in a development outside of town. There are many active adult and 55+ communities in the area (see link for Active Communities at top right), and see also the reviews on this site for Raleigh, Cary, and Chapel Hill. Prices of homes have been relatively steady in this area. In the third quarter of 2017, the median selling price of a home was $262,200 according to the National Association of Realtors. 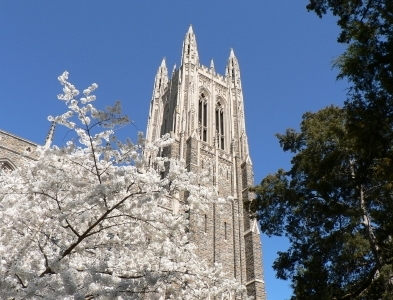 Duke University and its 13,000 students make Durham a special place. So does its location in the dynamic and fast growing Research Triangle. The American Tobacco Trail, the American Tobacco district, and other philanthropy from the tobacco giant have created many beneficial institutions and projects. The Falls Lake Recreation Area is nearby. Rapid growth has led to congestion. Living in a community whose wealth was created by tobacco might take some adjustment to. Durham is just a few miles from Chapel Hill and near Raleigh in the north central area of North Carolina. The average July high temperature is 89 and the average January high is 49 (the average low is 28). The wettest month is March (5"). Popular cultural events in Durham include jazz festivals, blues festivals, symphony concerts, art exhibitions, and other cultural expositions, including the American Dance Festival and the Full Frame Documentary Film Festival; The Carolina Theater shows both live performances and films; The Nasher Museum of Art; The Durham Association for Downtown Arts (DADA) is a non-profit arts organization dedicated to supporting local artists; the downtown restaurant scene is reputed to be strong. The crime rate is above the U.S. average. Duke University Hospital and Durham Regional Hospital serve the town. The Durham Area Transit Authority (DATA) bus system offers public transit, buses have bike racks. 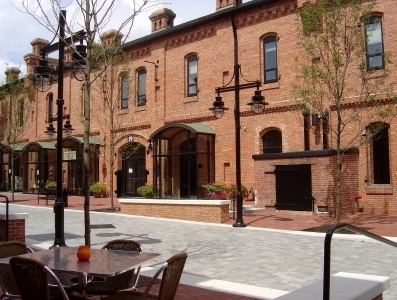 The American Tobacco Trail has its northern terminus in downtown Durham. The Raleigh-Durham Airport offers convenient service. Duke University operates its own 30 bus transit system.